In today’s fast-moving global economy, we need efficient technological solutions to increase productivity, learning and communication. Every day, more and more businesses employ remote employees and cater to international clientele. Many people work across multiple devices and we are usually on the go. We still need to communicate and have constant access to our data in various forms of media. This is why many businesses turn to online meetings, remote access desktop sharing, and communication software. TeamViewer and WebEx are some of the best desktop sharing software and online meeting software services available today. We take a deeper look into what both these products have to offer to help you decide which would be the better fit for you. TeamViewer is essentially remote access software, which is currently number one in market share, with over 20 million devices worldwide connected to TeamViewers at any given time. TeamViewer serves a wide variety of remote access functions for both access to a user’s own devices from afar, as well as access to the devices of others, for work collaboration. 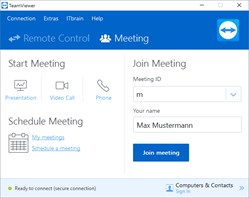 TeamViewer has made it incredibly easy for anyone to gain access to TeamViewer meetings. It works seamlessly across various operating platforms and devices. All invited participants to a TeamViewer do not even need to have the program installed on their device. All they need is a meeting invitation link sent from a TeamViewer user, which they can open in their internet browser. 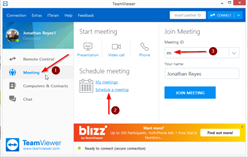 In fact, participants are even able to join meetings without an internet connection as TeamViewer integrates various phone, video calls and phone texting operations into the program. Multiple participants can join a meeting in via chat, video and audio in as little as one click. The program offers an array of media to communicate ideas and messages from audio, to video, to animation, to a handy whiteboard function. If meeting members need to work on a project together, TeamViewer enables this work collaboration by allowing numerous participants access to desktops and files simultaneously. Users can send meeting invitations and reminders from the interface. These will synchronize with a Microsoft Outlook account. Users can record meetings and save files and data transferred during meetings, automatically, which means all relevant information from meetings is kept safe and available. To maintain security, privacy and control over access to files, users can pre-determine the level of authorization, interaction and access to files and devices that each meeting participant is allowed to have. Each meeting will have organizers, presenters and participants, each with their unique meeting IDs and with varying levels of authority during meetings. Users can also adjust presenter and access rights throughout the course of the meeting, if need be, with the various door lock functions. TeamViewer utilizes end-to-end encryption for all file transfer and communications, optional two-factor authentication, random passwords for one-time access, and many more, to ensure that not just anyone has access to your sensitive information. If you need to access private or sensitive information in the middle of a meeting, with desktop-sharing, you can make use of the Black Screen option which will cause all remote monitors to go dark to obscure your data. The interface is simple, clearly arranged and makes use of many one-click functions. The intelligent use of bandwidth, the hardware acceleration, and fast data transmissions, inherent in the program technology, ensure that the system works quickly and smoothly with little delay. The high definition VoIP call setting even comes equipped with noise reduction and echo cancelling technology to ensure clear sound quality from the noisiest of remote user locations. TeamViewer is compatible with various operating systems and allows for use across device platforms. It is available in over 200 countries and in more than 30 languages. It does not require any system configuration and even works behind firewalls. All it takes is five minutes to set up the software. TeamViewer is free for personal use. For commercial use, there are several packages available, each with monthly subscription fees. Business: € 19.90 for single-user licence, which permits connections for up to three devices. Premium: € 39.90 for multi-user licence and additional channels (available at an extra charge). Corporate € 79,90 for multi-user licence, additional channels (available at an extra charge) and mass deployment. It also allows three channels (concurrent users) and 12 months of priority service. Each offers device management as well as meeting and presentation capabilities. The cheaper options have limitations on user licences. There is also a free trial and a 7-day money back guarantee should you be unhappy with your purchase. 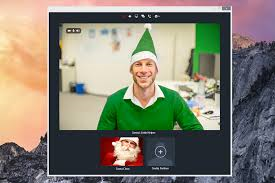 While WebEx also has desktop and multimedia sharing capabilities like TeamViewer, it serves as more of a web, video and audio conferencing solution. It’s range of features, as well as it’s broadcast quality video and audio, make it ideal for large scale product launches as well as large scale training seminars – we are talking thousands of active participants at a time! These can even be recorded for re-broadcast on social media channels and websites, allowing for even further audience reach. WebEx Meetings’ features also allow for work collaboration through multiple productivity and communication tools such as chat, file sharing and brainstorming tools. Just like TeamViewer, it is also compatible with various devices as well as multiple operating systems, including Android, OS and Linux. What’s more is that WebEx can even be synched up with many existing productivity software platforms already in use in most businesses. These include tools such as Google Drive Docs Management, Google Calendar, Outlook, Office 365 , Microsoft Teams, Trello, Zendesk Customer Relations, Slack, Canvas and many more. In this regard, WebEx has the edge over TeamViewer, which does not offer quite the same versatility in this regard. Meetings can be scheduled and initiated in just a few clicks from a toolbar. Meeting invitations and reminders can be synced with various productivity tools. The handy Call Me option allows participants to join a multimedia meeting simply by answering their smartphone. There are no downloads necessary for participants. Opening an invitation in a browser gets you in. The WebEx interface is quite user-friendly and has a clean and sleek aesthetic design. The HD video and sound quality is of professional broadcast standard. The customer support centre offers an extensive range of information and advice. 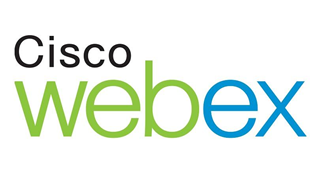 Cisco WebEx Support allows users to communicate efficiently with your customer base. This allows support staff to chat live with their customers and even to assist them through remote desktop control. 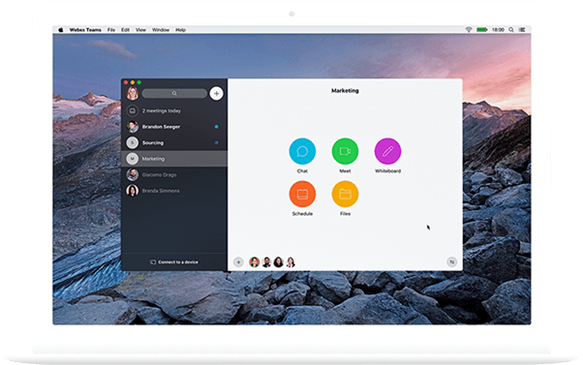 For security and control, WebEx Meetings ensure that only authorized meeting members will have access to file sharing and searches, which is complete with end-to-end encryption. The various lock and moderation controls allow users and administrators to monitor access to information and levels of participation within meetings. The additional Call me plans are charged per minute, (according to various world regions) and billed monthly with subscription fees. TeamViewer Vs WebEx- Which Is Better For You? Both TeamViewer and WebEx have their strengths and uses. It all depends on your needs. TeamViewer is great for management from within the company and for collaboration. The features of WebEx, on the other hand, focus more on communicating with a larger audience, not necessarily your own staff. It depends on the nature of your business. If you have a large staff to interact with and your business requires major collaborations of various teams, then turn to TeamViewer as they offer many data sharing options in and out of meetings. 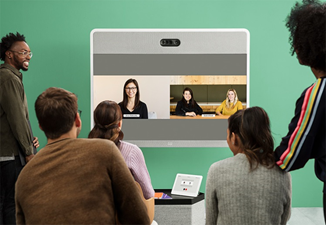 If you have a business that requires you to talk directly to consumers, or to host large-scale interactive events and training, then WebEx Meetings may be a better fit for you.